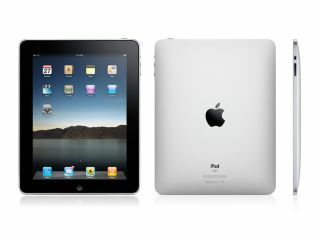 iPad set for a cheaper pricing overhaul? Orange and T-Mobile have confirmed that they will both be offering cheaper iPad deals — by tying users into longer term contracts. "T-Mobile UK today announced it will offer new purchase options for iPad users, including more affordable prices when purchased with a data service plan, for iPad with Wi-Fi + 3G models in the coming months." "Orange UK today announced it will offer new purchase options for iPad users, including more affordable prices when purchased with a data service plan, for iPad with Wi-Fi + 3G models in the coming months." Currently, if users want to buy Apple's tablet and use it online wherever they like, the only option is buying the iPad Wi-Fi + 3G full price, which involves a hefty payment to buy the device then more money to your favourite network when you want to use data. So the statements leave us in the dark over UK pricing, but if compared to the iPhone 4, it seems likely you'll be able to pick one up for around £150-£200 on a £35-£30 per month, two-year deal — although the fact there won't be minutes or texts involved may alter that price slightly.